This album is legendary for anyone into the Norwegian scene of the early 90s. Fouding members Ivar and Grutle shows attitude and work ethics on a mini-album (also released as a split-album with Emperor’s “s/t”) that is bombastic, epic and innovative. Our first full-length album, co-produced with the legendary Pytten in Grieghallen, Bergen, Norway. 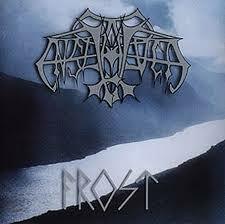 This album has lyrics in Icelandic, and is a tribute to the Norse landscape, history and mythology. The songs are matching these themes with long horizontal songscapes, dense atmospheres and winds from the past. Currently out of print: check back for updates! This is the one that brought us out of the Norwegian underground and onto the global scene. The production matches the album title; it is heavy, cold and massive. The arrangements are tighter, and points forwards toward a more complex and progressive Enslaved. We surprised quite a lot of people with “Eld”. The band had taken the melodic and progressive edge, also reflected in the raw and unpolished production. It is now as a very important album for the strand of progressive and experimental edge that is now at the very front of Extreme Metal. 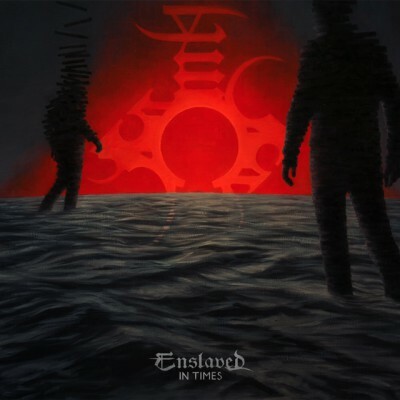 This is definitely Enslaved’s “blackest” and most brutal album; monstrous blast beats, furious hissing guitars and a knife-sharp production from Abyss Studios and Peter Tägtgren. 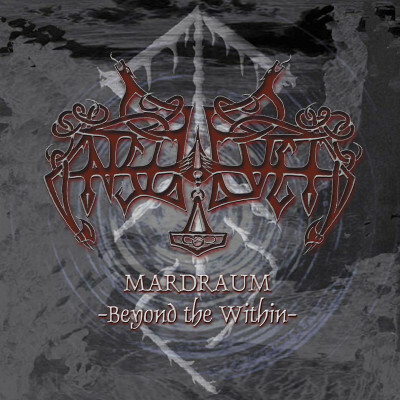 It is easy both to see this album as a deviation from and a natural part of Enslaved’s wonderfully twisted path(s). 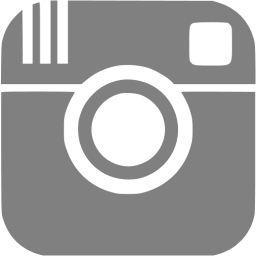 Check it out and make up your own mind! …and things started to change! Another Abyss/ Tägtgren production, but with strong hints towards the progressive, melodic and experimental – yet maintaining an intense and sometimes extreme edge. The timing was perhaps good, as the album received massive acclaim for introducing something new in a scene that showed serious signs of stagnation. The seeds of the “new Enslaved” that was planted on the first albums were starting to grow. If “Blodhemn” was the yin, this is the yang. Even the band itself was surprised at how far into the experimental spheres Enslaved took this one. There is the signature Enslaved sound, but also the addition of new palettes used to paint the soundscapes; both melody, influences from the 70s, folk music and dynamics were heavily experimented with. 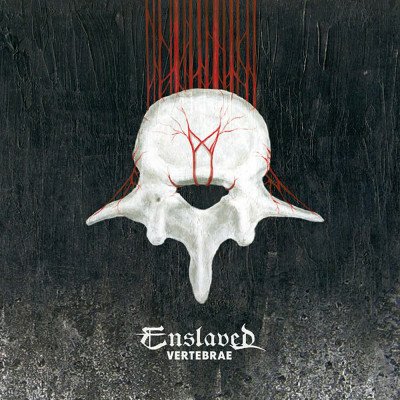 No matter if, the album is unusual even for this band; it is still undisputable proof that Enslaved will go where no band has gone before. This release also marks the beginning of the band’s collaboration with cover painter Truls Espedal. Some argue that this is the album that started the “proggy Enslaved period”, or the “newer Enslaved”. 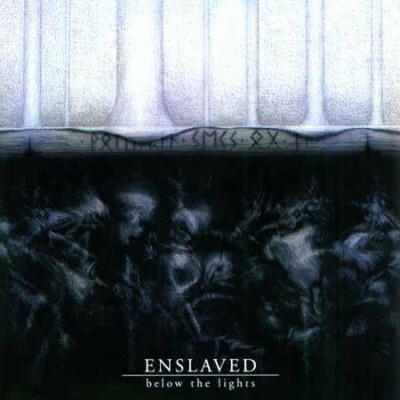 No matter the relative placement on the timeline, this album kicked off a significant period for Enslaved. Heavy progressive influences, relatively complex song structures, expansion of the instrumentation and use of Grutle’s various vocal expressions, and a heavier emphasis on the magic of the melody. It unified the soul searching and fearless exploration of the previous albums into a confident and bold statement about the direction the band would take in the next decades. If “Frost” took Enslaved out into the world, “Isa” took Enslaved a big step further in the same world. With a new and rock-solid line-up in place, the same line-up that is still as solid to this day, the band sounds refreshed, tight and full of new ideas. The songwriting reached a new level, as did the musicians’ performances, both on an individual and collective basis. A particular thing to notice is how the introduction of two vocalists expand the range of expressions. 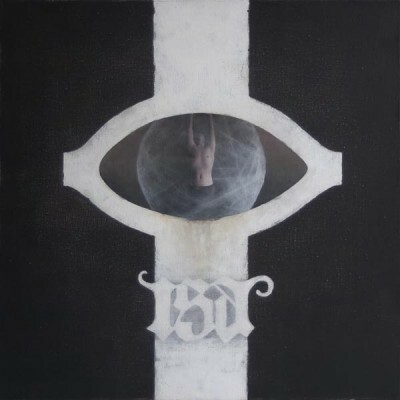 After “Isa” had shown the potential of this new line-up, “Ruun” followed through with further exploration and exploitation of the potential found within. 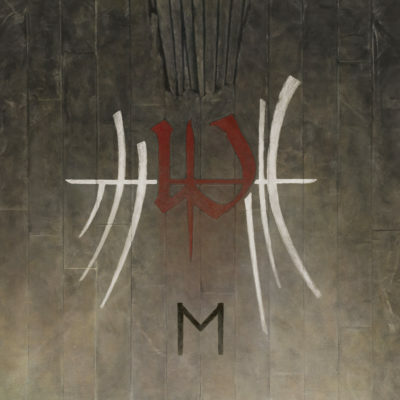 The album marks a deeper delve into the mystical, esoteric world of the runes in both words and musicality – there is a denser atmosphere, and a stronger direction in the songs. 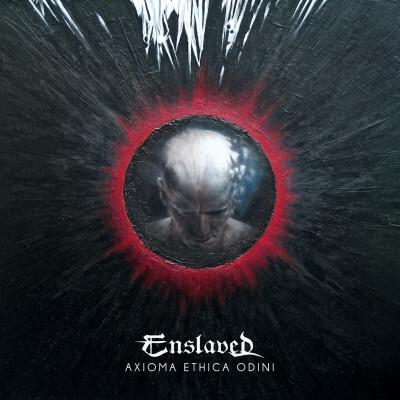 The solidity of the band’s new direction is starting to show, yet it is also clear that Enslaved’s unspoken “policy” of making every album unique and independent; “an island in its own”, is more relevant and valid than ever before. There is the production before “Vertebrae”, and then there is after. The renowned producer and mixer Joe Baressi came in to mix the album, and through his mentoring Enslaved found its latent but still not surfaced sound and production philosophy: it is all about how the band actually sounds with their instruments, drums, amps, pedals and voices – which at this point with an already seasoned live-lineup – were pretty damn good. This did not represent a break with the past, rather a clarification and refinement of what was already there: an aspiration towards the raw, direct and extremely honest production. 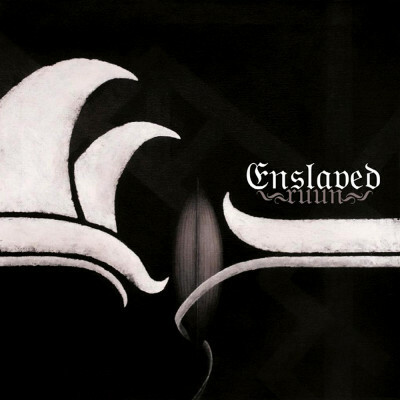 Next to “Eld”, this is the “cleanest” production on any Enslaved-album, which really leaves room for the arrangements, instruments and vocals. 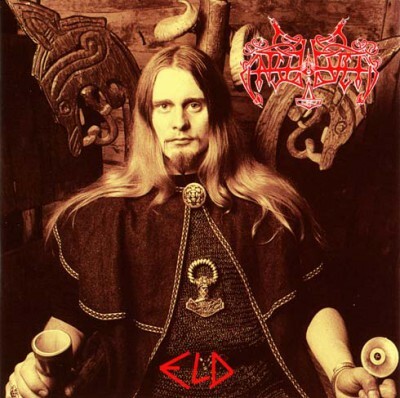 Continuing the production philosophy, but heading for a more up-tempo and edgy atmosphere, Enslaved started the collaboration with mixer Jens Bogren at Fascination Street Studios, whilst anchoring the production duties within the band itself (Bjørnson, Grutle and Larsen together with co-producer and engineer Iver Sandøy). The album keeps up and incredible energy level from start to end and heralds a great period to come for any Enslaved-fan; new or old. 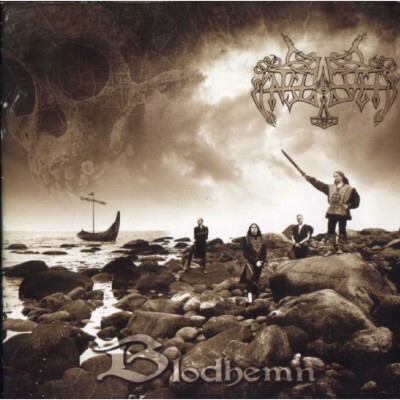 Fun fact: “Axioma Ethica Odini” got Enslaved our fourth consecutive Norwegian Grammy for best Metal album, before the golden string ended. 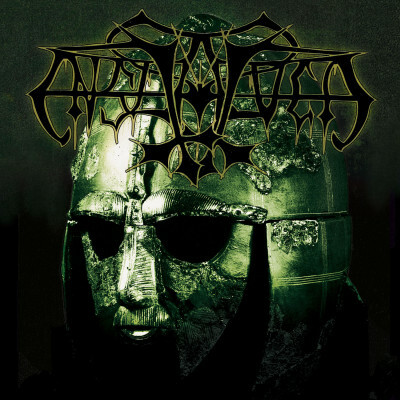 While upholding the level of intensity and energy from “Axioma Ethica Odini”, “Riitiir” takes a turn for the more unpredictable, progressive and frankly; epic. The underlying theme of the universal concept man as a ritualistic being also seeps into the music; it is dense, powerful and multilayered. 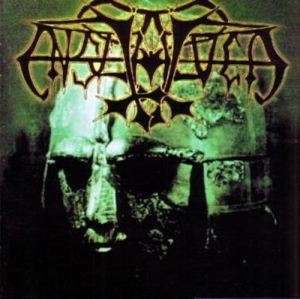 Any doubt about Enslaved’s unrelenting will to progress and explore was swept away, the same was any prospect of the band settling down, using recipes to re-create the safe past – yet this album hinted strongly at a band that are drawing heavily on their roots, but intertwining them with newfound influences, progressive expansion and a general undying love for music. This album title does not only point to a multi-dimensional and abstract concept-structure overlying the album; but is a good pointer to the sonic content, songwriting and arrangements. Not to speak of the production. 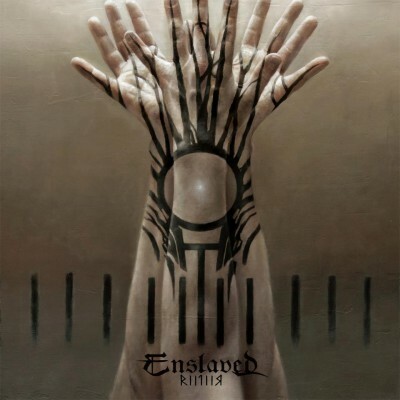 At this point Enslaved has gone far into the future with imagining up our own musical evolution, and at the same time we have reached all the way back into the backbone of who we are. “In Times” is a true synthesis of all that is Enslaved – there are even ghosts of what is to come. It is also an album where the band’s unique vocal width and flexibility comes into its right. First official vinyl re-issue of our first full-length album. It includes a brand new artwork and four illustrations specially made for the album by artist Z. Bielak (Ghost, Mayhem, etc.). This album was co-produced with the legendary Pytten in Grieghallen, Bergen, Norway. It has lyrics in Icelandic, and is a tribute to the Norse landscape, history and mythology. The songs are matching these themes with long horizontal songscapes, dense atmospheres and winds from the past. A unique collection of experimental material, connecting with our early roots gathered for the first time as a full-length album. Costin Chioreanu of Twilight 13 Media (Roadburn Festival, Opeth, Darkthrone, At The Gates, etc.) did the new layout, including mesmerizing new illustrations. 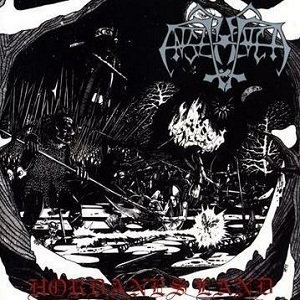 The songs originally appeared on extremely limited EPs between the full-length albums “Axioma Ethica Odini” and “Riitiir". Like the songs, the production itself is a mix of old and new; high tech and no-tech, a mix of concepts that have been essential in achieving our signature sound. The album has lyrics sung in both Norwegian, English and Old Norse, and the theme centres on mythology and the esoteric side of the runes; as well as contrasting the Norse Ways as a polytheistic belief system to the monotheistic plague of the Big World Religions. The music nods respectfully to the wildly varying deities that make up the pantheon of our inspiration, both “then” and “now”. 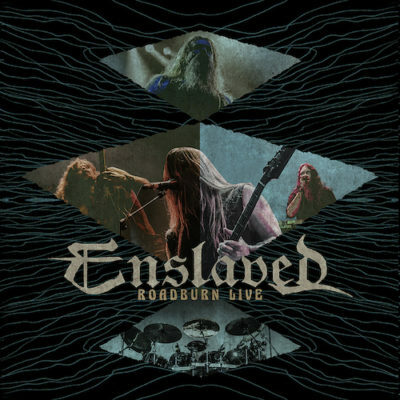 « Roadburn Live » is Enslaved’s first official live album, a split release between Roadburn Records and By Norse Music. The album was recorded during one of the band’s headline shows at the renown Roadburn Festival 2015; an edition curated by Enslaved’s guitar player Ivar Bjørnson. The album was mixed by Iver Sandøy at Solslottet Studio, mastered by Jens Bogren (Kreator, Opeth, Sepultura) in Fascination Studios. It is also the last official release with Herbrand Larsen on keys and vocals. After celebrating 25 years in 2016 showcasing a majority of older material, « Roadburn Live » displays songs mainly from the « newer » and more progressive part of Enslaved’s career, with songs from “In Times”, “Riitiir”, “Isa”, “Below the Lights” and “Monumension”. The album features the guest appearances of Einar Selvik (Wardruna), Aðalbjörn Tryggvason (Sólstafir), Per Wiberg (Opeth, Candlemass); and Menno Gootjes (Focus) on « Immigrant Song », the first cover song by Enslaved to ever appear on a record. 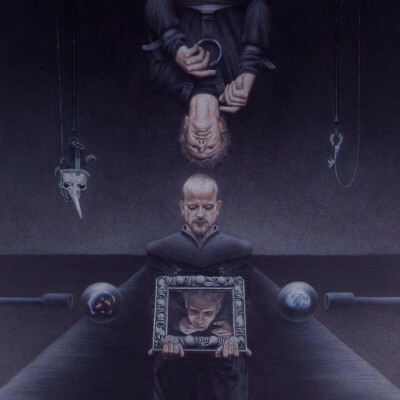 This 14th full-length album sets Enslaved free from genre boundaries and offers an unprecedented mix of prog, extreme metal and shoegaze on 8 tracks with a playing time of more than an hour. Titled "E", the album was once again written by the unholy alliance of guitarist Ivar Bjørnson (music, lyrics) and singer/bassist Grutle Kjellson (lyrics) and marks the introduction of their new keyboard master and clean vocalist Håkon Vinje. 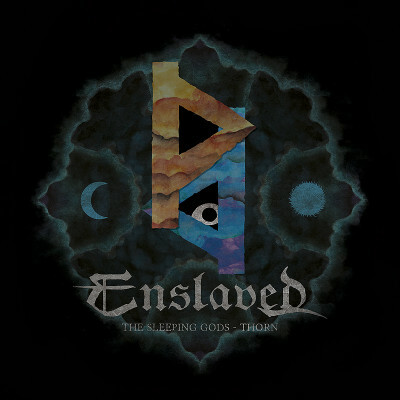 Mixed and mastered at the Fascination Street Studios by the renowed Jens Bogren, "E" heralds a new era for Enslaved. Its cover artwork was once again hand-painted by the Norwegian artist Truls Espedal. As support for their brave sound journey, the quintet brought several guest musicians on board for the songs 'Hiindsiight' and 'Feathers Of Eolh', including Wardruna's Einar Kvitrafn Selvik, flutist Daniel Mage and jazz saxophonist Kjetil Møster.